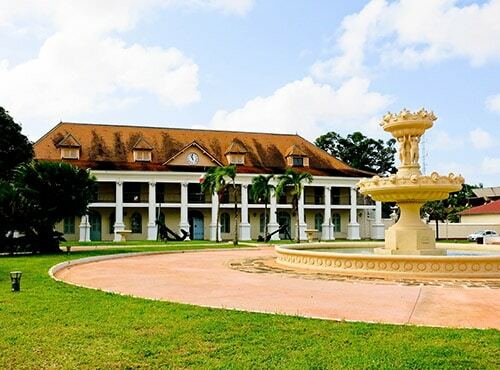 In French Guiana as a whole, hotels are on the expensive side, especially in Cayenne. 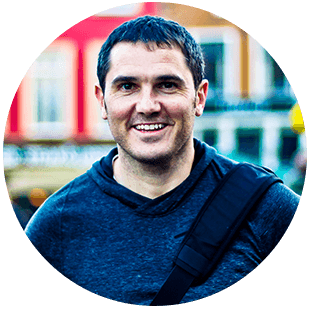 Airbnb however does offer better value places to stay. Is it possible to be in France and South America at the same time? If it is, then French Guiana is where it’s possible. The people speak French, the currency is Euros and you enter the country under the same conditions you enter France and the EU. The French government select a Prefect to govern this overseas region. 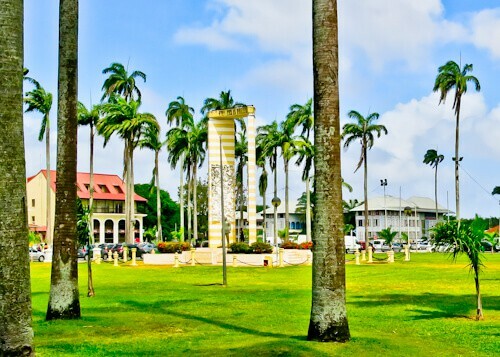 This Prefect works from the Prefecture building, as well as being the home of politics, it’s the postcard picture of Cayenne French Guiana. 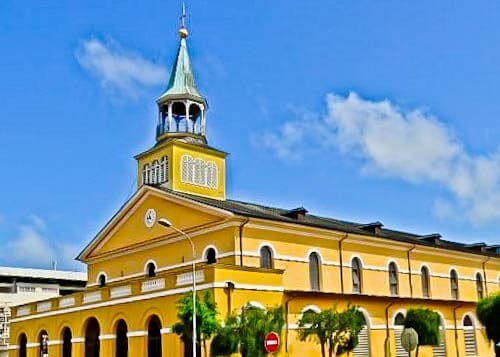 Coupled with the Prefecture Building, another Instagrammable location of Cayenne is the Cathedral. It’s located at the other side of Place des Palmistes and definitely worth the walk through the park to take a picture, as well as see the interior. 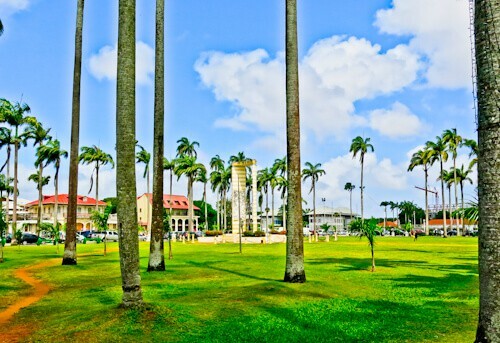 Place des Palmistes is the main park of the city of Cayenne. 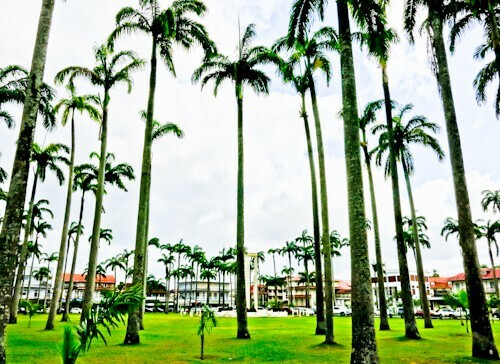 It’s a well kept park full of palm trees which offer a little shade from the hot sun in this part of the world. 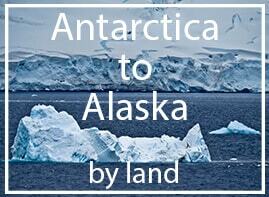 Additionally, it’s located in the center of the city so convenient to visit. Furthermore, the Suriname consulate is located closeby, so if you’re in town for a visa it’s definitely worth a stroll through. Alternatively you could visit the botanical gardens of Cayenne which are located on the eastern side of the city past Cayenne cemetery. Felix Eboue was the first French black man to be given a role of significant power in the French colonies. He was born in Cayenne French Guiana and became the governor of Chad in Africa. Additionally he supported the Free France call made by Charles De Gaulle when France became occupied during World War II. The Felix Eboue statue stands proudly in the center of Place des Palmistes. Furthermore, it’s possible to visit the former house of Felix Eboue in Cayenne. Fort Ceperou was built in the 17th century by the French to protect their land. Today, there are remains of the fort and the main purpose for a visit is the panoramic view over Cayenne French Guiana as well as the Cayenne River. Together with Fort Ceperou and the lighthouse, it’s possible to take a walk on rue du Vieux Port. 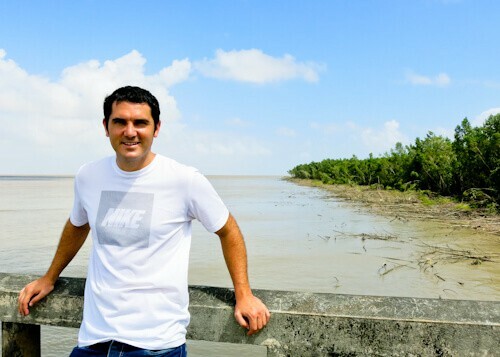 This small road leads out to the Atlantic Ocean / Cayenne River which is an interesting place to be! 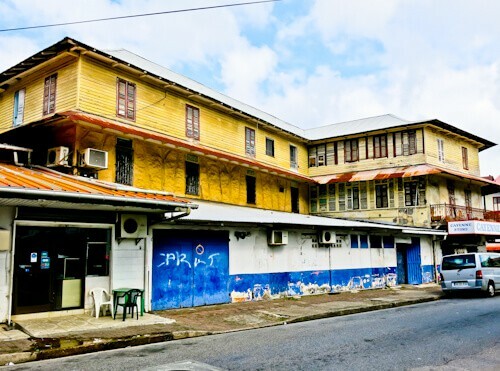 Place des Palmistes is surrounded by many French colonial as well as Creole buildings. It’s possible to enter one of these buildings as the Alexandre-Franconie museum is located inside. Inside this museum you can learn all about the history of Cayenne French Guiana as well as view the interior of these unique buildings. Cayenne is a small city which means you can see most of the points of interest on foot. It can get quite hot, so walking early morning or evening is a good idea. You’ll be able to photograph French colonial buildings (above) as well as architecture and historical monuments such as the statue of Felix Eboue whilst exploring the city. On the main street of Cayenne you’ll find lots of restaurants and bars, as you’re in France the baguettes and bread are very good! I had to make a stop in Cayenne because I needed to get a visa for the next country, Suriname. Getting the Suriname visa in Cayenne is a very simple process. You hand over your passport with €20 and they put a tourist card in your passport. It will probably be the easiest visa you’ll ever get! The price of the tourist visa has recently gone up to €30 but the process remains the same. The Consulate of Suriname is located at 3 avenue Léopold Héder in downtown Cayenne adjacent to Place Des Palmistes (Palm Tree Park). 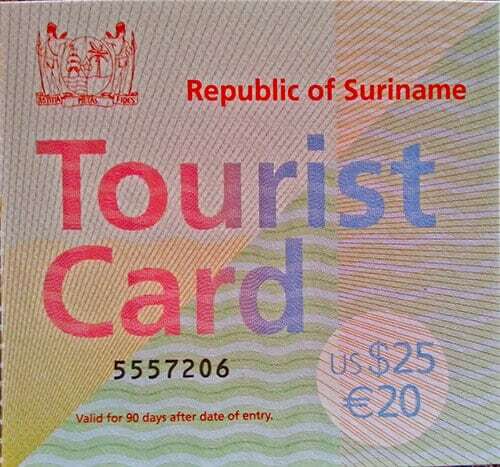 It’s equally important to check opening times before visiting, usually weekday mornings are when they issue the Suriname visa. There are regular share minivans from Cayenne to Kourou. These leave regularly from Cayenne bus station which is located a few blocks from Place De Palmistes. The journey takes around 1 hour, in fact I had a memorable journey because Celine Dion was played loudly for the whole journey! In addition, you can reserve your seat on shared minivans to many towns throughout French Guiana from this bus station.